It is with great sadness that we announce the passing of our founder, Lawrence D. Castleman, M.D. on August 13, 2014 after a brave battle with pancreatic cancer. He will be deeply missed by his staff and patients. He was known for taking a personal interest in his patients and had a unique way of connecting with people. He had a sense of humor that would often put his patients at ease. Dr. Castleman was a brilliant surgeon, clinician and a pioneer in his field. He was adored by his staff and many had been with him for over 10 years. He will never be forgotten and his legacy will be carried on by the doctors and staff of Castleman Eye Center. 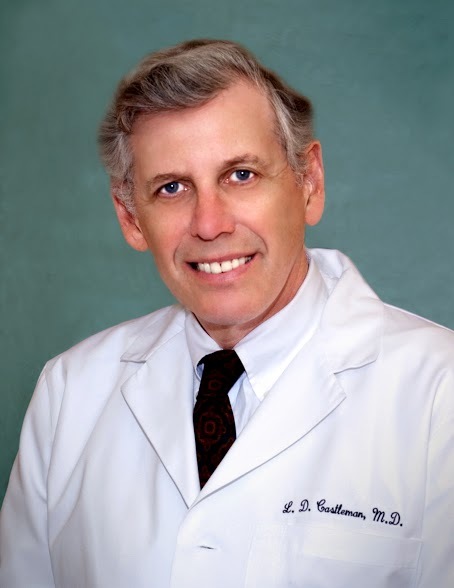 Dr. Castleman was a board certified ophthalmologist who founded the Castleman Eye Center in 1971. Dr. Castleman enrolled in the University of Michigan at the early age of 15. He graduated medical school with honors at Wayne State University and went on to specialize in ophthalmology. Truly a visionary and as founder of Castleman Eye Center in 1971, Dr. Castleman always took pride in providing state-of-the-art technology. He founded Southgate Surgery Center in 1979, the second surgery center of it's kind in the country. An accomplishment that he was very proud of. One of the first cataract surgeons in the world to perform phacoemulsification, the present ultrasound technique for removing cataracts. Invented and patented an intraocular lens, also known as an IOL, which was implanted in over 100,000 eyes. One of only a few ophthalmologists who performed myopic keratomileusis, or MKM, an early refractive procedure. Developed the second Medicare-accredited ambulatory surgery center (ASC) in the United States, contributing to improved health care accessibility. There are now over 6,000 such centers across the country. Was a founding member of the American Society of Cataract and Refractive Surgery or ASCRS.